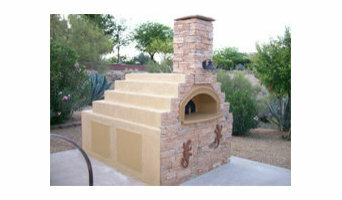 At PizzaOvens.com we offer unbeatable values on Pizza Ovens and Pizza Equipment; anything you need for your restaurant, pizzeria or home garden. Specializing in new and used pizza ovens, including brick ovens, wood burning ovens, deck ovens and conveyor ovens, we offer everything for your restaurant, pizzeria, bakery, catering and home needs at unbeatable prices. We are your complete online resource for buying pizza equipment, commercial & residential ovens and everything else for your pizza making needs. We have been repairing appliances in Lexington, KY for the last 30+ years. We have repaired hundreds of thousands of appliances. This means that you are getting the most experience possible, which will mean a great experience for you! We repair all major appliances, including washers and dryers, refrigerators, stoves and ovens, and dishwashers. We are a different sort of appliance repair company. We diagnose an appliance fully and let you know what needs to be done. With your approval to make the repair, we then waive the diagnostic fee and quickly make the repair. Most repairs will be done on the same day you call, too, so you can get back to your life without any trouble! Our locally owned vacuum store has the right machine for you. Our quality vacuums and cleaning systems, such as Oreck, Miele, Dyson, Sirena and others not only clean your floors, but also provide cleaner air to breathe. Whether you are looking for a sweeper with a bag or one with a HEPA filter, our systems provide a deeper clean for your carpet. If you are looking for a vacuum with a water filtration system we have those also. In addition, we have the area's largest selection of vacuum bags to choose from. If your current system needs repair see us first. We service most major brands and are an approved warranty center for many brands. Stop in today and let us help you choose the right system for your needs! As anyone who’s ever tried to fix a broken garbage disposal or install a new microwave oven can tell you, sometimes hiring an appliance professional is worth every bit of the cost. Appliance problems can be time consuming for many Flemingsburg homeowners to diagnose and repair, and a botched attempt can lead to bigger hassles and more money out of pocket. And with some appliances, such as ranges, grills and other pieces powered by gas, hiring a pro is a smart safety precaution. Read on for more tips before hiring a pro to help revamp your Flemingsburg, KY home. Your Kentucky appliance professional might handle any or all of the following jobs: selling, installing, repairing and upgrading both small and large appliances. He or she can advise you on the right equipment for your Flemingsburg, KY home, from features to finishes, and is usually in the know about the latest technological advances and bells and whistles. When appliances hit a snag or start to show their age, a pro can advise you whether to repair or replace them, then carry out his or her recommendation. Some appliance professionals work closely with Flemingsburg, KY builders, remodeling contractors, and kitchen and bath designers, among others. Here are some related professionals and vendors to complement the work of appliances: Kitchen & Bath Fixtures, Kitchen & Bath Designers, Kitchen & Bath Remodelers, Specialty Contractors, General Contractors. Find an appliance professional on Houzz. Narrow your search in the Professionals section of the website to Flemingsburg, KY appliances. You can also look through Flemingsburg, KY photos to find examples of rooms with appliances you like, then contact the professional who worked on them.